A personal loan is an unsecured loan that can be very useful in an emergency. It has the potential to save you from a dire financial situation. It is processed quickly and the amount is transferred to your bank account so that it can meet your financial needs in a speedy manner. The interest rate is the amount that the bank or financial institution changes with respect to the money borrowed. The idea is to choose a personal loan that offers the lowest possible interest rate. You can focus on paying the money borrowed, not on additional interest. The type of loan will determine the interest rate. Because personal loans are not secured with any collateral they attract very high interest rates. This is because you do not have to keep assets as security. It does not grant any guarantee to the lender to receive this amount. Therefore, the nature of this loan makes it much more difficult to obtain compared to obtaining a secured loan to your account. You can request a fixed or variable rate to choose the type of loan. Before applying for a loan, you must verify your credit worthiness to know the likely probability of obtaining a sanctioned loan. As with any loan, banks use it as a key parameter to determine the interest rate and determining if the loan should be granted to you. A good payment history or a high credit rating will not only guarantee fast approval, it can also reduce the interest rate. More importantly, if you have any outstanding on your credit card, you must pay it off immediately, as this will be reflected in your credit history when processing your application. If you cannot pay your amount due on time, you will usually be charged a very high fine that on your loan account. You must understand details of the fine or penalty that may be imposed if such circumstances occur in the future. You have to ensure that the loan will be affordable. 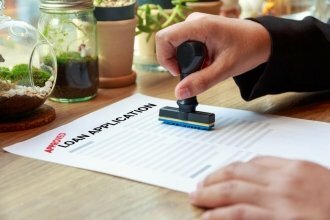 Why do you want the loan? What do you intend to do with it? These are important questions to ask when you apply for a personal loan. If the personal loan is for genuine needs such as emergency medical reasons or paying of a tuition loan it is worth it. But do not take out a personal loan to buy a car or go on a vacation. That is not prudent action to take. What other fees are you paying? There are large number of miscellaneous costs associated with personal loans such as processing fee and early repayment penalty. Do make sure you have the time and patience do read through all the fine print that detail these conditions. Otherwise in the long run you would end up paying much more than you bargained for. Taking out a personal loan is a big decision in a person’s life. When you keep in mind the above points you can be sure that you are taking the right decision because you are asking yourself the correct questions. Be judicious and cautious in your decision and you will never regret taking a personal loan.